Much like its 21st counterpart, the Marine Aviation Training Support Group 22 (MATSG-22) was originally established as a United States Marine Corps aviation training group during the World War II. Back then, it was known as the Marine Aircraft Group 22 or the MAG-22. It was also most known as the Foreign Legion of Marine Aviation as it did not serve within the United States’ continental area of limits and responsibilities for a very long time. The squadrons of the MATSG-22 fought a number of prominent battles during the World War II. Among these are the Battle of Midway, the Marshal Island Operation, and the Battle of Okinawa. Of the three, the MATSG-22 suffered severe losses on the Battle of Midway where all of its forces were decimated during the battle. 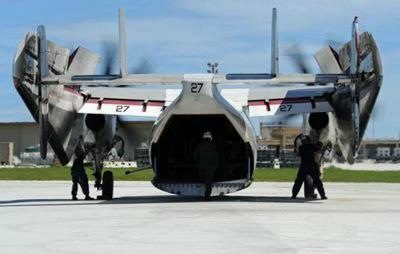 The group was deactivated shortly after the war ended but was reactivated once again in May of 2000 through the renaming of the Marine Aviation Detachment (located in Naval Air Station Corpus Christi, Texas) to a modern-day MATSG-22. With over decades of combined experience fighting court martial cases, administrative proceedings, military separations, and non-judicial punishment for service members, Gonzalez & Waddington, LLC can help servicemen who formerly served in Marine Aviation Training Support Group 22 for any legal service needs. In addition to representing clients at Marine Aviation Training Support Group 22, our services are also available throughout the United States, Europe (Germany, Italy, England, Spain, Cypress, Belgium, Turkey), the Middle East (including Bahrain, Kuwait, Afghanistan, Qatar), and the Pacific Rim (Korea, Guam, Hawaii, Japan).